With the generous support from Art Fund we invited a range of local women and young people to add their ‘voice’ to our current exhibition ‘Herstory‘. We worked with a range of groups to generate their own personal creative responses to specific artworks. Our thanks to the LGBTQ+ Society at Rochdale Sixth Form College and the women who attend Rochdale Connections Trust, Caring and Sharing and Zumba classes at Heywood Civic Centre and Rochdale Leisure Centre. 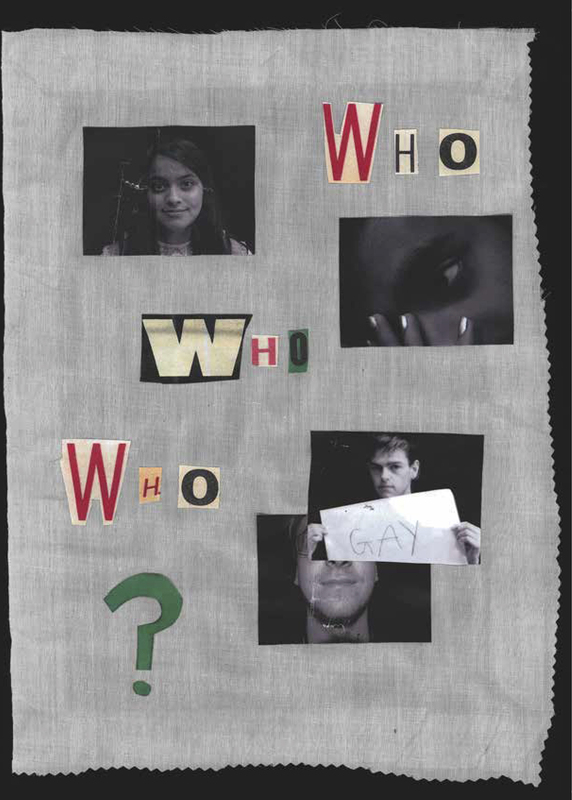 Front page of the ‘zine’ produced by the LGBTQ+ Society. Courtesy of Touchstones Rochdale. 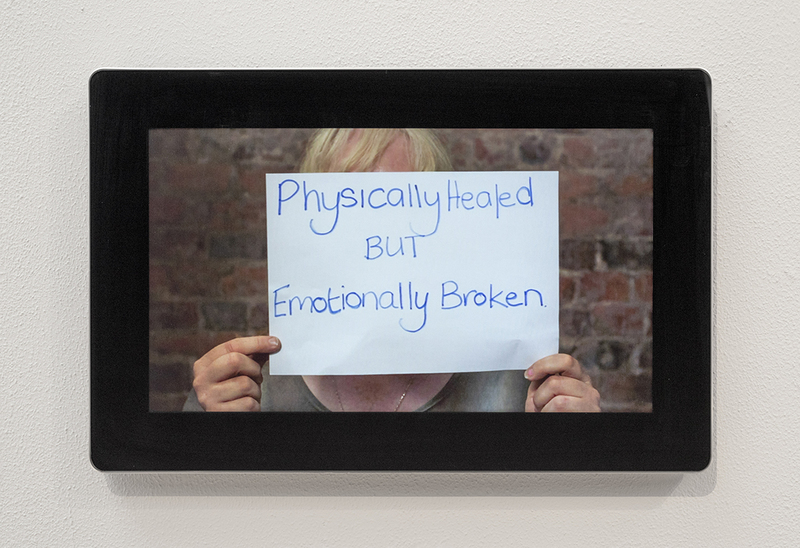 Responding to Benning’s deeply confessional films about the difficulty of growing up as a lesbian in 1980s America the LGBTQ+ Society worked with artist Bryan Beresford to produce a ‘zine’ reflecting their experiences of growing up in Rochdale. Visit the show and pick up your copy download a copy here. Still from the film produced by the women from RCT. Courtesy of Touchstones Rochdale. This film was made by a group of women who meet at, and receive support from, Rochdale Connections Trust. Responding to ‘Travesty of a Mockery’ by Sam Taylor-Johnson they worked with the filmmaker Sean Lovell. 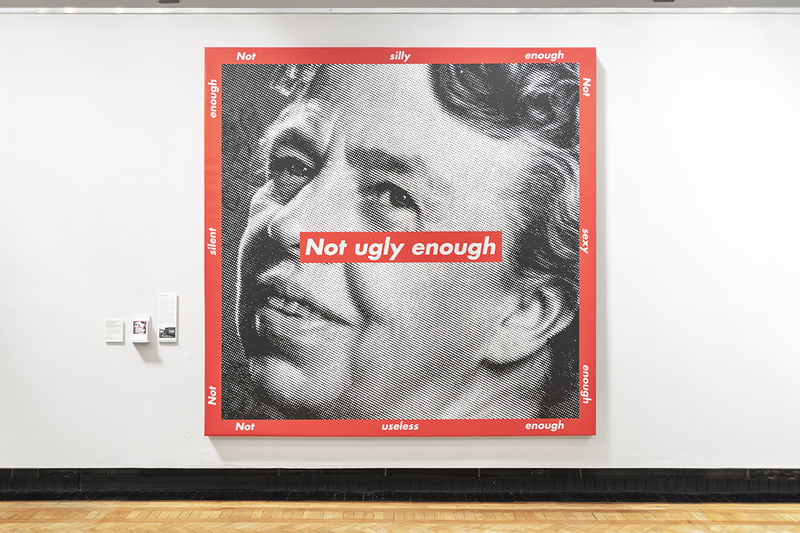 Installation shot of Barbara Kruger’s ‘Untitled (Not ugly enough)’ in ‘Herstory’. Courtesy of Touchstones Rochdale. A group of women who regularly attend the Zumba classes at Heywood Sports Village and Rochdale Leisure Centre were invited to respond to the issues, such as the pressure on women to conform to an ideal body type, raised by Barbara Kruger’s work. They worked with professional writer Jane Bradley. Pick up a postcard with their responses at Touchstones Rochdale or listen to their responses below. Installation shot of Shirin Neshat’s ‘Faceless’ in ‘Herstory’. Courtesy of Touchstones Rochdale. Caring and Sharing works to support and empower the BAME, Asylum Seekers and the deprived in the community. 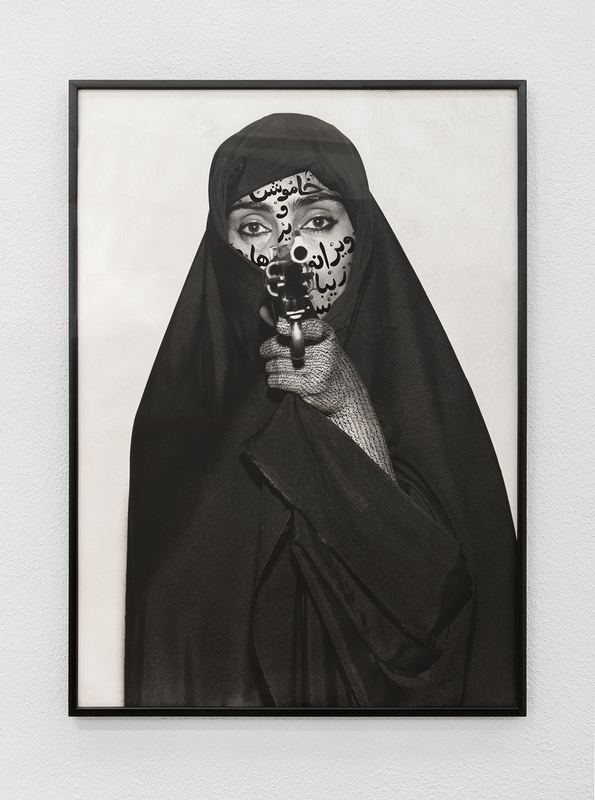 A group of women from the charity responded to the work of Shirin Neshat through a series of creative writing exercises with professional writer Jane Bradley. Pick up a postcard with their responses at Touchstones Rochdale or listen to their responses below.